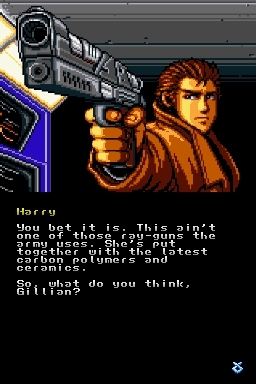 Multiple:Option’s second DS homebrew release is Snatcher Pilot DS, an adventure game by Konami and an early game of Hideo Kojima (Metal Gear Solid). This game is a demo (hence “Pilot”) and is based upon the PC-Engine “Snatcher Pilot Disk,” but uses the Sega CD version’s assets. Read the readme.txt for more information.